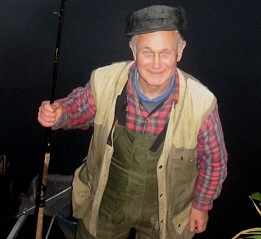 The News that local coarse angling legend, Alan “Big Al” Stevens had died over the late December break was a great blow to many of us who had known him over the years. Despite being 84, Al’s death came as a surprise to all of us who had just seen him move from Dumpling Hall into his new flat in Blakelaw. Throughout the nineties, the noughties and beyond Alan still lived for his fishing although now restricted to still waters. He showed immense courage in defying various ailments to still get out for a few hours and I am sure all of us wish we are blessed with the same amount of enthusiasm for angling when we reach our eighties. Always a communal club angler, his many uninterrupted years membership of BWAC, WACAC, UNEAC and with the TAA daw him loyally attend meetings and regularly putting his point of view. In his own way he was a hero. He had been ill for some time but this cruel blow came just as he seemed to be overcoming several forms of cancer. John's contribution to the local coarse angling world was immense. He devoted more than 50 years of his life to angling administration, helping to form the University of Newcastle Employees Angling Club in the early sixties and was an official of the Tyne Anglers Alliance. He was articulate, well read and a true gentleman. He was instrumental in promoting the first stockings of carp and tench north of the Tyne and of running regular club matches on the Tyne at Close House in the sixties and seventies when weights were often in excess of 50lbs. He will be deeply missed and on behalf of anglers in the region I would like to thank his devoted wife, Elaine, for allowing him so much of his time to champion angling causes. Unlike in other parts of the country, coarse fishing had to be fought for up here, and although people who come into the sport now would never believe that 40-odd years ago you would be thrown off the Tyne and even barred for not killing any coarse fish caught, John was one of those men who helped make a real difference. Everyone is very concerned about the hive of in-river activity downstream of Hexham Bridge. As guardians of the Tyne there is no organisation more concerned than us. Our main concern is the health of the Tyne system and we have been pressing hard for information and monitoring all the activity since the incident first arose 3 weeks ago. The issue is a rising main sewage pipe belonging to Northumbrian Water (NWL) that runs across the river through Broomhaugh Island into Hexham sewage works. The concrete apron through which the pipe runs has been undermined and whilst no leakage has occurred there is a risk that a	fracture on the unsupported pipe could occur if immediate remedial action is not taken. 4. all measures must be taken to prevent any pollution or siltation as a result of this work and/or a fracture of the pipe during the works. The work will be a long-term fix (20 years plus). The Environment Agency has approved the methodology as of 27 June 2013, therefore work will commence immediately, subject to river conditions. All fish will be able to pass via the south side of Broomhaugh Island whilst the works progress. All measures have been taken to ensure there is minimal risk in terms of pollution/siltation during the works. TRT believes that a long-term solution is in the best interests of the river, even though it means a lot of disruption over the next few months. TRT will constantly monitor progress and will meet regularly with NWL, the Environment Agency and the contractor team to ensure that the programme is carried out in the best interests of the Tyne river system. Unfortunately due to the scale of this work and the very careful consideration required in carrying it out, NWL believes the earliest completion date will be mid-October 2013. The Tyne Anglers Alliance are both relieved and happy to learn that the current plan to build an electricity generating hydro plant on the River Tyne at Hexham has been dropped. Hexham Comunity Partnership, the body who had planned the hydro and its partner Transition Tynedale have stated that the soaring costs, (now estimated at £ 2.5 million from an original estimate of £1 million) means that the scheme bears too great an investment for the financial return it would realise, and they have announced the end to their project. Representatives of the Tyne Anglers Alliance have worked hard in conjunction with many other angling groups and bodies who feared that the building of the hydro would have a serious effect on fish and other natural life, as has happened elsewhere in the country. All have lobbied hard for it not to be built and warned the group that they must accept that they would be financially responsible for replacing any fish stocks deemed to have been lost through the actions of the hydro. 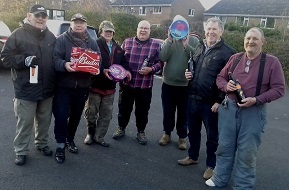 The fight to avoid any threat to the Tyne's fish stocks through the media and at open forums, has led to improved relations between the game clubs and syndicates and the TAA which represents mainly coarse angling interests, which is a major plus to come out of the campaign. However the threat has not completely vanished from Hexham as the Hydro lobby are opening the door to the possibility of a group or body who will take the financial risk, and Gillian Orrel, Chairman of Transition Tynedale, stated how she hoped other bodies who are interested in such projects might benefit from the work they have done. The cessation of the Hydro scheme does not mean the end for a new fish pass which is still intended to be built. For the last two years Northumbrian Water have had a 20 peg section for coarse anglers at Derwent Reservoir near the nature reserve on the north shore. After being approached by Steve Wood, it has been agreed on trial basis that coarse angling is to be allowed from the dam wall from the start of this season. After agreeing to this and since then receiving great feedback from the lads, we have decided to extend coarse fishing opportunities for roach by including the dam wall. Price for day at Derwent is the same as last year at £10 granted more expensive than Whittle Dene however the guys say its worth it for exclusive quality roach fishing. We will then hold a short Angling Trust North East AGM to appoint our volunteer Chair, Vice Chair, Secretary and Treasurer and adopt our constitution. Full details of the AGM will be available on the Angling Trust website. 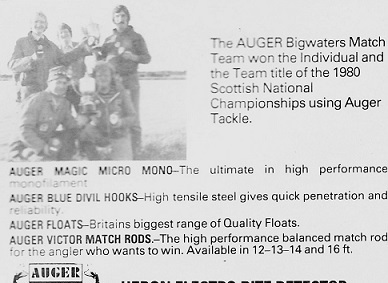 I hope that my writing down several fears in advance may make the worries of myself as Fisheries Officer to the Tyne Anglers Alliance more clearer. Firstly as previous studies (which I have copies of) talk in terms of dace migration up past Hexham and into the North Tyne to spawn, it must be made absolutely vital that no such fish are destroyed. Please remember that Tyne dace are at their northernmost tip of their range in the East side of the UK. In addition please understand that the biggest point we can make regarding the Tyne Hydro scheme, is that if anything does go wrong with the fishery then they MUST be in a financial position to rectify things. This was the same edict that the Tyne Tunnel engineers agreed to when they carried out a second tunnel that could have had potential consequences only two years ago. 1986 large dace still being caught but in less quantities and no smaller younger fish. 1991 At even more public expense The NRA set up The 3 year Tyne Dace Study group and commission Liverpool University’s Ecological Dept to undertake this. Liverpool University confirm temperature change is responsible. TAA’s David Hall and REFERAC via NRA push for changes by stopping release of ice cold water from Kielder. It is agreed. In future warmer water to be ramped off from the top layers. 2004 Over the past decade dace numbers are now virtually fully recovered on the river as the temperature levels allow successful annual recruitment once more. However the pike population has not recovered and is now no more. If you arrived at this page from a search engine click here to go the the home page.